The family of James Foley – the kidnapped American journalist killed by Islamic State militants last week – has posted a letter they say he sent while in captivity, via a fellow hostage. James Foley was unable to write letters to his family because they were confiscated by his jailers. Instead he asked another hostage who was about to be released to commit his letter to memory. When that hostage was freed he dictated the letter to James Foley’s mother, Diane. The family posted the letter on Sunday evening, on a Facebook page they had set up to campaign for James Foley’s release. Earlier they had attended a memorial mass for James Foley in their home town of Rochester, New Hampshire. 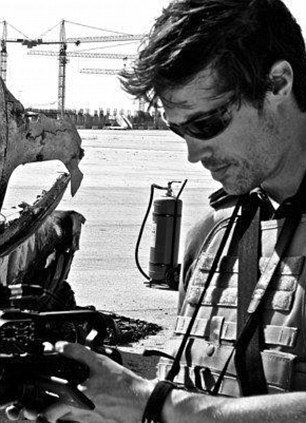 James Wright Foley, 41, a freelance journalist was abducted in northern Syria in November 2012, while covering that country’s civil war. Last week, Islamic State militants released a video showing his killing by a masked man with a British accent. On Sunday, the British ambassador to the US told CNN that British officials were close to identifying the killer. Eighteen of us have been held together in one cell, which has helped me. We have had each other to have endless long conversations about movies, trivia, sports. We have played games made up of scraps found in our cell… we have found ways to play checkers, Chess, and Risk… and have had tournaments of competition, spending some days preparing strategies for the next day’s game or lecture. The games and teaching each other have helped the time pass. They have been a huge help. We repeat stories and laugh to break the tension.